Our goal is to provide compassionate medically sound care to every patient. Your skin is a very important and delicate part of your body. We want to help you keep it healthy and looking its best. 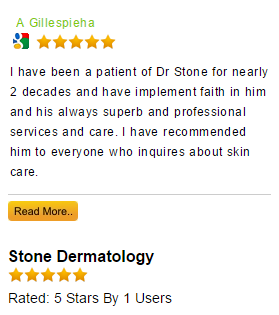 There are numerous Dermatological conditions that we treat at Stone Dermatology. We offer a wide variety of cosmetic services including Botox, Dermafillers, Laser facials, Laser Hair Removal etc. Acne is a common skin condition that affects both teenagers and adults. Early treatment is important.